I purchase most of my vintage sewing machines from online classified ads so I have the luxury of getting the information electronically. I can usually locate a manual for that model online which I use to learn more about the machine. I can then determine if I'm interested in that particular machine or not. If I can’t find information about a particular vintage sewing machine model, I don’t bother to go see it. I won't know enough about the features of the machine or how it works to decide if I'd like to buy it, let alone if the price is reasonable. I prefer to be an informed purchaser. If you don’t have the opportunity to first learn the model of the machine to do your research, it becomes a bit trickier. For example, if you find a vintage sewing machine at a yard sale, you are going to have to decide on whether to buy the machine without knowing everything about it. You could, of course, go home, do your research, and make a trip back once you have that information. You may find that someone else has purchased the machine by that time. Do you know what model this is? When I see a sewing machine for sale, the first thing I do is try to find out what model it is so I know what to expect when I see the machine in real life. If I am shopping online this usually means looking at the pictures to try to see the model number or the serial number. If the photos aren’t very clear, I will ask the seller if he/she can post more photos and specify the areas of the machine that I want to see. All SINGER® sewing machines have a SINGER® badge on the front of the machine. Additionally, some models have “SINGER® Sewing Machine Company” or similar company information across the top of the machine. These badges can indicate if the model was a special edition, which may make it even more valuable. All SINGER® sewing machines were issued with a serial number, which can be found in various places on the machine. Some are stamped on the front of the machine near the bottom, some are underneath the machine bed. They are all long numbers and typically, for the years I'm looking at, start with one or two letters. If you can see the serial number, you can use it to identify the machine model by looking up the number on the SINGER® Sewing Company web page. I’ve compiled all my favourite websites into a FREE printable download, Vintage Sewing Machine Websites, that I find useful for this purpose. Print it out right away so you’ll have it handy when you need to refer to it. Once you determine what model the vintage sewing machine is, you can research that model to ensure it meets your requirements (e.g. reverse, zigzag stitch), what attachments should come with it, etc. before you go to see it. You can quickly decide if it is worth your time to go to see this machine. I have some favourite websites that provide lots of information about various models. Some, such as www.SINGER® 301.com, focus specifically on a particular model and are a wealth of information. I also like to check to see if there are reviews of the specific model that I am interested in so I can get a feel for what actual owners think of the machine. As with any reviews, I take these with a grain of salt, unless I find that everyone has problems with the machine – then I may have to rethink my interest in that particular model! Download the FREE Vintage Sewing Machine Websites printable that you can use when you are doing your research. Be sure to print it out and keep it near your computer so that you can be ready the next time you go vintage sewing machine hunting. Please share this information with your like-minded friends by clicking on the "Share" icon below. P.S. Join the private Chatterbox Quilts Facebook group for quilting and vintage sewing machine information. 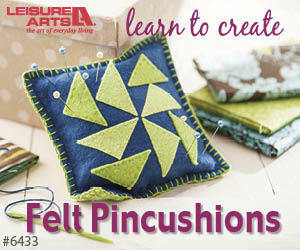 If you have any quilting friends who'd like to join, we'd love to have them join too.